Before Photoshop and social media, if you wanted to promote a party, word of mouth and flyers were about the only options you had to create a buzz on campus. 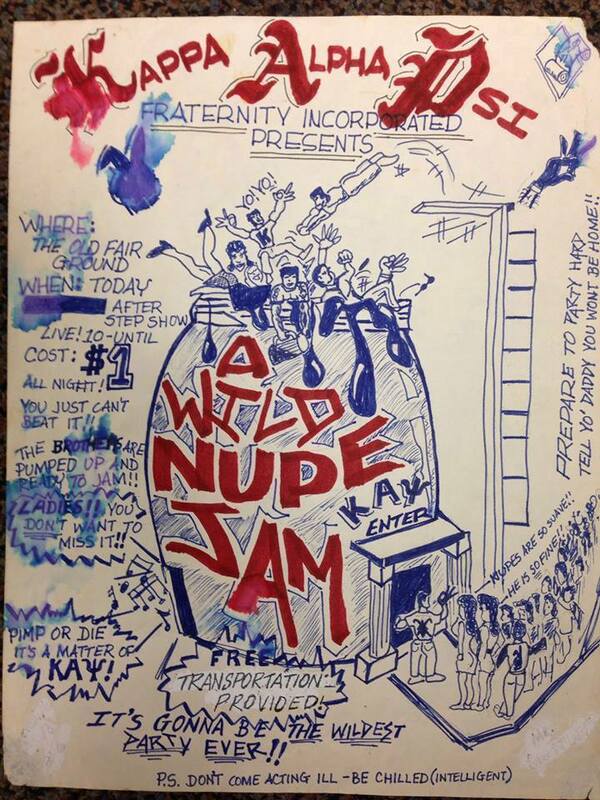 Because graphic design programs were non-existent to the everyday college student, fraternities and sororities had to rely on members who could draw to create their flyers for parties and events. While not as elaborate or as polished as the flyers you see today, these flyers had something special about them and that was soul. By simply looking at them you can tell how excited the chapters were about the events they were about to throw and that they actually spent a lot of time making them. 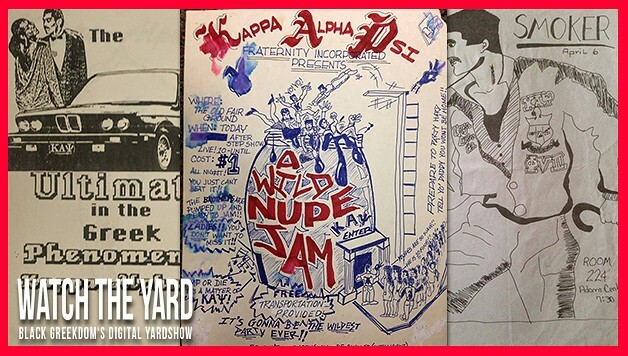 We at WatchTheYard.com have obtained the RARE event flyers from brothers of Kappa Alpha Psi from the 1970s, 1980s and 1990s and put them in the following slideshow for you to see. Pay close attention to the prices for events, the details that the artists used and the types of parties brothers were throwing. Please share this slideshow with any Nupes you know. We are sure that it will make their day! Also, we plan on doing this type of slideshow for other D9 orgs. If you have any copies of party flyers from back in the day, please send them to WatchTheYard@gmail.com.